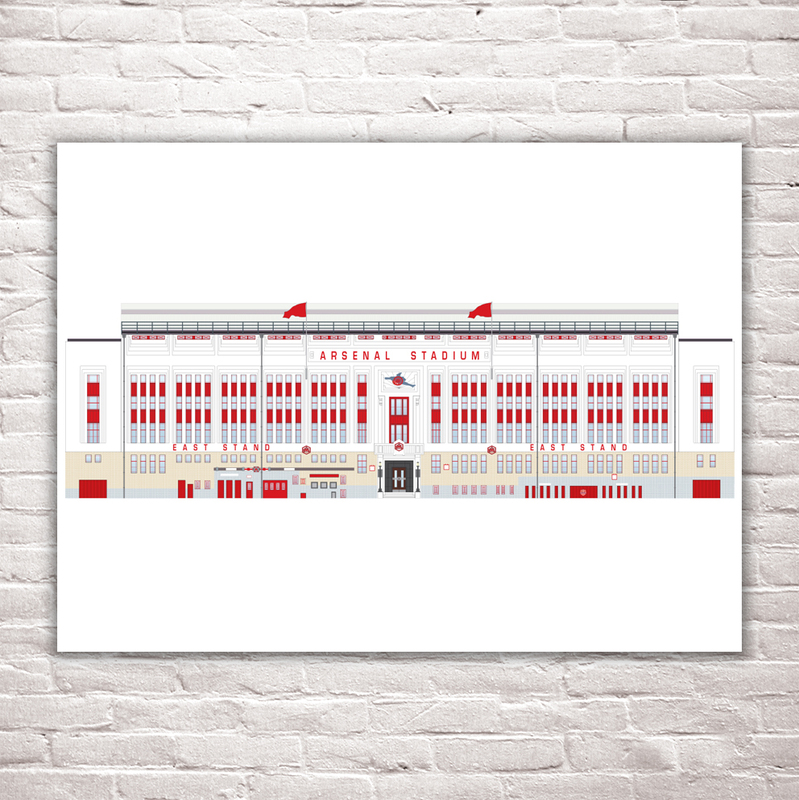 A highly detailed digital illustration depicting the whole of the East stand facade of the now redeveloped ex home ground of Arsenal Football Club. With it’s Deco style architecture, Highbury, in my opinion was the greatest of all the English football grounds. Because of it’s cramped location, there are no known photographs of the whole facade, so with the help of lots photographs cobbled together, I was able to produce this piece.